It turns out Verizon is also looking for a piece of the tasty connected car pie. AT&T announced its plans to attack this market aggressively during the following years, but Big Red doesn't seem to be willing to get left behind. In an interview with Reuters, Verizon chief Lowell McAdam has said that he sees the "connected devices" market as having a potential for billions of dollars - a potential that should materialize by 2020. For McAdam, that means an opportunity for a few hundred million dollars just from this secondary segment for the carrier. By connected devices, however, we don't mean handsets or tablets, but stuff like cars and appliances. But in what ways can you connect a car? During AT&T's press conference earlier today, the carrier demoed some pretty neat features like integrated phone/messaging connectivity, smart GPS applications, as well as safety improvements, all thanks to being connected to the internet. How's Verizon planning to compete with its rival in this emerging market? We hope we'll find out more at tomorrow's press conference of the leading U.S. carrier. Hey Verizon! Stop. Really. Just stop. Stop trying to add services and content that customers will get from other sources. Your offerings in the connected devices market will be like the additional content services that you've offered in the past: Dull, uninspired, and overly expensive. V Cast Video, remember this? Wait, don't worry... No one else does either. It's gone now, and good riddance. V Cast Music with Rhapsody? Well, Rhapsody is still around, but the V Cast Music service is gone. V Cast Apps? Less said about this one, the better. VZ Navigator. The only success story here. That was before Google Navigation though. There are a lot of good points to VZ Navigator, but when you compare 10 dollars a month to free, there just isn't enough advantage to VZ Navigator to make it worth it. There are more, but there's no point to listing them. Lowell McAdam, I wish you could see your company the way many of us consumers do. Every single new thing that Verizon Wireless comes up with seems to have a catch; some sort of built in way to bilk customers out of more money. We don't trust you. However, you have built an amazing network. 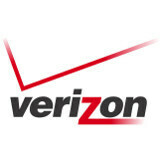 What many of us want, is for VZW to be a dumb pipe, as it were. Just be the best one out there. Stop overcharging us. Especially for the little things.